Mumbai : Walking through the lanes and bylanes of Pathanwadi in Malad East, one would get a sigh of relief on reaching St.Thomas Mar Thoma School, a temple of education for the local population. It’s just like seeing light at the end of the tunnel, expressed IAF Retd. Capt. S. Balasubramaniam. IDF team arrived at the School to inaugurate its eighteenth Bal Gurukul at St. Thomas Marthoma School, Pathanwadi, Malad East, Mumbai on 30th October, 2009. IDF team comprising Dr. Narayan B. Iyer, Mr. Karthick Sridhar, Mr. Mihir Mungale and Ms. Sneha Chaudhary visited Canara Bank, Mahaveer Nagar Branch, Kandivali (W), Mumbai on 29/10/09. Mr. R.P. Chavan, Senior Manager of Canara Bank congratulated IDF's humanitarian programmes and exhorted his team to participate in social responsibility programmes. IDF team apprised the Canara Bank members on various programmes carried out by the Foundation. 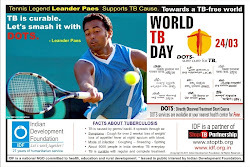 The team also created awareness on Tuberculosis and its threat to the global economy. IDF thank Canara Bank for extending an opportunity to serve the society at large. The Trichy edition of The Hindu has reported about Campion Anglo Indian Hr. Sec. 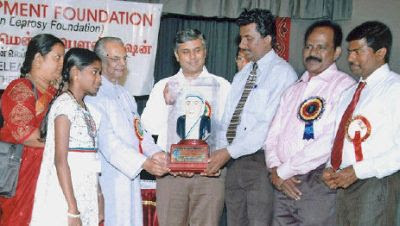 School getting prestigious Mother Teresa Memorial Award 2008-09 from Indian Development Foundation. IDF team had the golden opportunity of participating in the 43rd A.D. Shroff Memorial Lecture delivered by Mr.Nandan M. Nilekani, the most famous Indian entrepreneur and Chairman of Unique Identification Authority of India. The lecture on `Identity, Markets and Social Welfare' was delivered at Y.B.Chavan Centre, Mumbai on 27th Oct.09. The lecture was organised by Forum of Free Enterprise. The lecture was full of information with a futuristic approach. Mr. Nandan Nilekani's imagining a new India will come true very soon. IDF young social ambassador G.R. Shankersai called on Shri Nageshwar Rao (Retd), DGM, State Bank of Hyderabad and Mrs. Vijaya Nageshwar Rao (Retd), Chief Manager, SBH and apprised them on the various activities of Indian Development Foundation. Hearing the wonderful social work from the young ambassador, the Rao Family presented a token donation for IDF. IDF thank Mr. & Mrs. Rao for all their goodness. Heard of Sweetizza, wah, wah....... Don't worry it's not a new dish, but a kind gesture from the Pizza Group of Company. Mr. Narendra Walawalkar, Mr. Hemand Shah, Ms. Ami and Ms. Vidya from the Garcias Famous Pizza of Amazon Food & Beverages Pvt. Ltd. visited Indian Development Foundation on Diwali Day and handed over sweets and juice for the children and trainees of the IDF Projects. The sweets and juice were distributed among the children of St.Catherine's Home and to the trainees of the M.N.B. Industrial Home for the Blind. It's all about kindling our inner lights !!! When the Bengalooreans were busy moving their fingers on their newly purchased Blackberry to send Diwali Greetings to their near and dear, the young lad of 11 years, Nishchith was moving his fingers on the musical keyboard sharing happiness and joy with the less-privileged children of Mary Immaculate Bal Gurukul at Benson Town. Nishchith, class VI student of Kendriya Vidyalaya MEG & Centre, Bengaluru and young social ambassador of Indian Development Foundation thought it fit to celebrate his Diwali with the underprivileged children and make the festival of lights a meaningful one.Nishchith is a regular visitor to this Gurukul and a couple of other Centres run for the welfare of the children, where he spends his time teaching musical notes on his keyboard to the young kids. Mary Immaculate Bal Gurukul is an empowerment education programme of Indian Development Foundation run by the Sisters of the Immaculate at Benson Town in Bangalore. 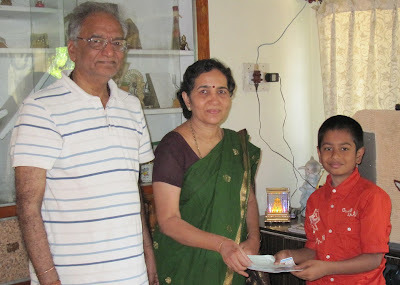 Nishchit visited the Gurukul along with his mother Thriveni on the evening of Diwali to share colours of the festival with the less fortunate and make a positive difference in their lives. He said Diwali is the time for gifts and sweets to be given to our friends and family. 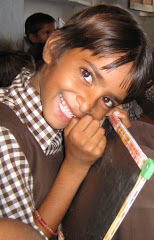 But Diwali for me is an opportunity to create a positive social impact, Nishchith expressed with a smile. Rev. Sr. Florita, Mother Superior, Mary Immaculate Sisters of Bishop Morrow and the Chief Guest for the event encouraged the students to become the little lights of God dispelling darkness towards knowledge of light and spread happiness in the society. The excitements of the children in the centre were boundless and they were immersed in joy of dance and merry. They were on cloud nine, when sweets and sparklers were distributed to them. Dr. S. Franklin, Manager of IDF spoke on the spirit of Diwali and blessed the children on the occasion. Rev. Sr. Vincenta, Secretary of the Centre invoked blessings for universal peace and prosperity as the children of the Gurukul formed a procession with diyas in their hands. Sweet packets were distributed to all those who were present, sharing the joy with one another. Earlier, Mr. Samuel Vincent, Development Executive of IDF welcomed the guests and children while Mohan, a ten-year old student of the Bal Gurukul proposed a vote of thanks. It was truly a celebration of light kindling the hearts of many children in the centre. IDF team visited Shyama Vidya Mandir in the early hours of 16th Oct 2009 to celebrate Diwali with the children. Shyama Vidya Mandir situated at Tammnathwadi, Karjat, Dist. Raigad of Maharashtra is an education-empowerment programme of IDF. IDF team comprising Dr. Pillai, Dr. Narayan, Dr. Sharad Nayampally, Mr. Jayaraja Acharya, Ms. Sneha Chaudhary and Mrs. SN Iyer visited the project and shared joy and happiness on festive occasion. Students were immensely happy to receive Diwali sweets and sparklers. SVM teacher Ms. Neeta Tupe initiated the students to have an interactive session, while Mrs. Vimaltai appreciated the festive gestures. They said, happiness travelled all the way to Tammnathwadi to illuminate the young minds on festive occasion. 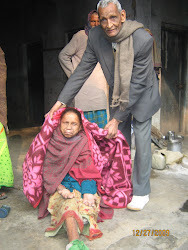 Diwali festival becomes more meaningful when we celebrate it with the deprived sections of the society. Festival of light gives us an opportunity to brighten the lives of people by spreading the message of togetherness, expressed Dr. Hari Vasudevan. NGOs like Indian Development Foundation need to be congratulated for organizing such Citizens Meet during festive occasions giving golden opportunity to the general public to participate and share the feeling of happiness with the patients, Dr. Hari said. Indian Development Foundation (formerly Indian Leprosy Foundation) jointly with Rotary Club of Mumbai North End organized a Citizens’ Diwali Meet at Vimala Dermatological Centre, Andheri West in North Mumbai on Thursday, the 15th Oct. 09. 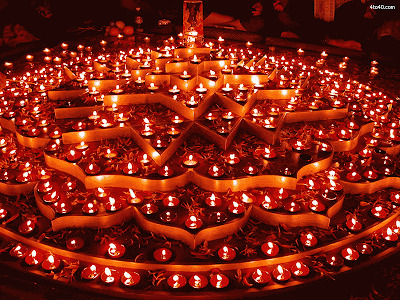 CLICK HERE AND SEE ALL LIVELY PICS OF DIWALI. 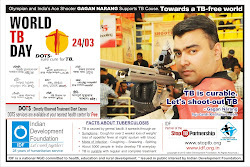 St. Germain High School, Bengaluru supports Indian Development Foundation's leprosy/ TB programmes. IDF team comprising Dr.S.Franklin, Mr. C.A.Mathew and Mr. Samuel Vincent visited the school and presented prizes to students for participating in social responsibility programme. Rev. Fr. Gerome, Principal of the School congratulated IDF's programmes and thanked the students for being a part of the social movement. IDF salutes St.Germain High School for supporting IDF's health, education and rural development programmes. Damien Bal Gurukul - an empowerment programme of Indian Development Foundation and St.Anthony's School, Tansi Nagar, Velacherry, Chennai. IDF team visited DBG on 9th Oct.'09 and shared happiness with the students. Sr. Mary and Sr. Jaya from St. Anthony's School explained the progress of the Gurukul while DBG teacher Ms. Jeniffer motivated the students to take part in interactive sessions. The students were immersed in joy of happiness as they mingled with the IDF team. IDF Social Ambassador Dr. Sharad Nayampally and look-alike Mahatma Gandhi participated in the World March for Peace and Non-Violence at Raj Ghat, New Delhi and also at Wagah Border. IDF congratulates Dr. Sharad Nayampally for his wonderful participation in the peace march. Click following links and read news and see video in youtube. 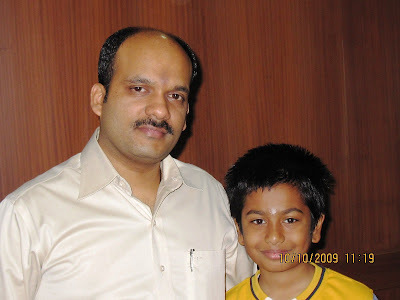 IDF young social ambassador, Shankersai approached Shri Sukesh Gupta from MBS Jewellers, Hyderabad and sought support for sponsoring children studying in IDF Bal Gurukul. IDF thank Shri Sukesh Gupta, Director of MBS Jewellers for sponsoring education for children stuyding in IDF Bal Gurukuls. An act of kindness from the bubbling boy.